GKhair Serum is a weightless hair oil that instantly transforms dull and dry hair into beautifully smooth and frizz-free hair. It Is The Best Argan Oil Hair Serum That Smooths Out Any Flyaways While Delivering Shine. Infused With Argan Oil And Natural Silicones, This Oil For Frizzy Hair Nourishes And Fortifies Hair With Extra Moisture While Protecting Hair From Dryness And Damage. Buy Now Gkhair Best Argan Oil Hair Serum To Control Frizz And Add Healthy Shine To Hair. Ingredients :Juvexin A Keratin Anti-Aging Protein Blend Optimized For Restoring Hair From The Inside Out, Returning It To A More Youthful State. Protects Against Future Damage And Environmental Effects By Creating A Shield Over Each Hair Strand. Natural Silicones Seal The Hair And Protect Against Dehydration. Argan Oil Natural Oil From Moroccan Argan Tree; Seals And Protects Against Dehydration. It Is Restores And Preserves And Restores Hair Inside Their Youthful Appearance And Condition. GKhair Serum is a weightless hair oil that instantly transforms dull and dry hair into beautifully smooth and frizz-free hair. It is the best argan oil hair serum that smooths out any flyaways while delivering shine. Infused with ARGAN OIL and NATURAL SILICONES, this oil for frizzy hair nourishes and fortifies hair with extra moisture while protecting hair from dryness and damage. Buy now GKhair Best Argan Oil Hair Serum to control frizz and add healthy shine to hair. JUVEXIN a keratin anti-aging protein blend optimized for restoring hair from the inside out, returning it to a more youthful state. NATURAL SILICONES seal the hair and protect against dehydration. ARGAN OIL Natural oil from Moroccan argan tree; seals and protects against dehydration. 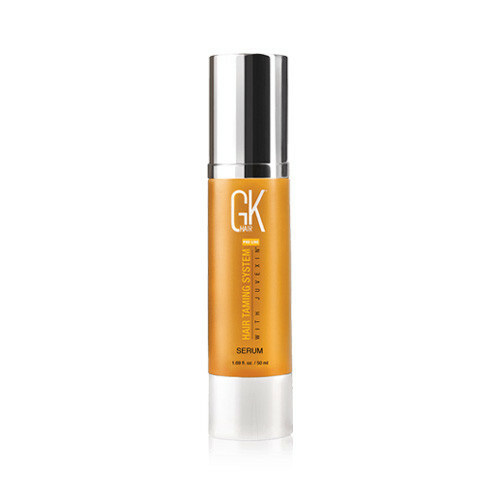 After using GKhair Shampoo and Conditioner, pump into hands and smooth through mid-lengths to ends of dry or damp hair. Feel the smooth soft results instantly as flyaways and frizz disappear. Style as desired feeling frizz-free and confident. This serum is light weight and smells amazing! 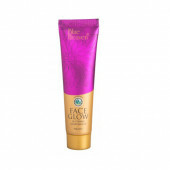 It makes blow drying your hair much easier and makes your hair supple and shiny. Works great, makes my dull wavy hair very shiny after I use it with a flat iron. It also makes my hair feel softer and I get less tangles when I use it. The serum leaves my tangled hair smooth, and even though I don’t always blow dry my hair, this serum still works really good. I like to use it and let my hair air dry, and my hair looks great.